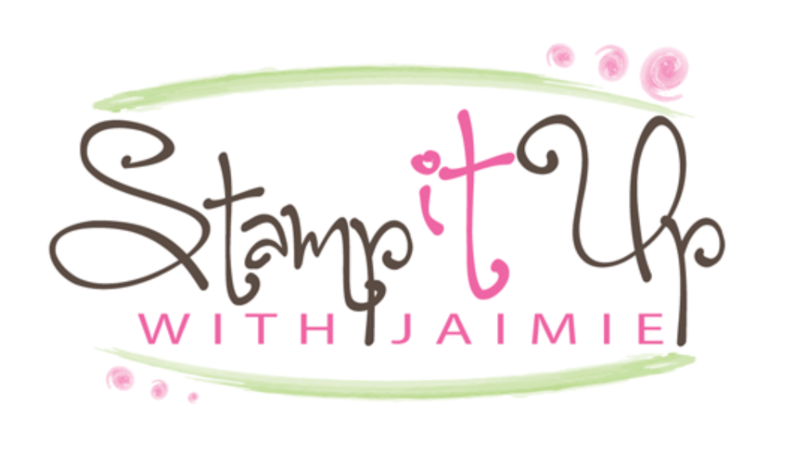 I used the Charming Cafe stamp set bundle from the upcoming Stampin’ Up! Occasions Catalog to create my card for the Sunday Stamps sketch challenge this week. Here is the sketch for Sunday Stamps SSC168. Be sure to stop by the Sunday Stamps blog to see what the other design team members created and to play along too! My card also works with the Tic Tac Toe Challenge #TTTC028. I went across the middle row. I started by cutting a panel of Crumb Cake card stock with the smaller circular die from the Cafe Builder Framelits Dies (available Jan 3), then I embossed the panel with the Simple Stripes Embossing Folder and adhered it with Multipurpose Liquid Glue to a panel of Pear Pizzazz card stock that I’d cut the center out of. I adhered the layered panel to ta Soft Sky card base with Stampin’ Dimensionals. I stamped the frame and table images from the Charming Cafe stamp set (available Jan 3) in Tuxedo Black Memento ink on a panel of Whisper White card stock and then colored it with the Light and Dark Old Olive, Calypso Coral, Daffodil Delight, Crumb Cake, Pool Party and Smoky Slate Stampin’ Write Markers. 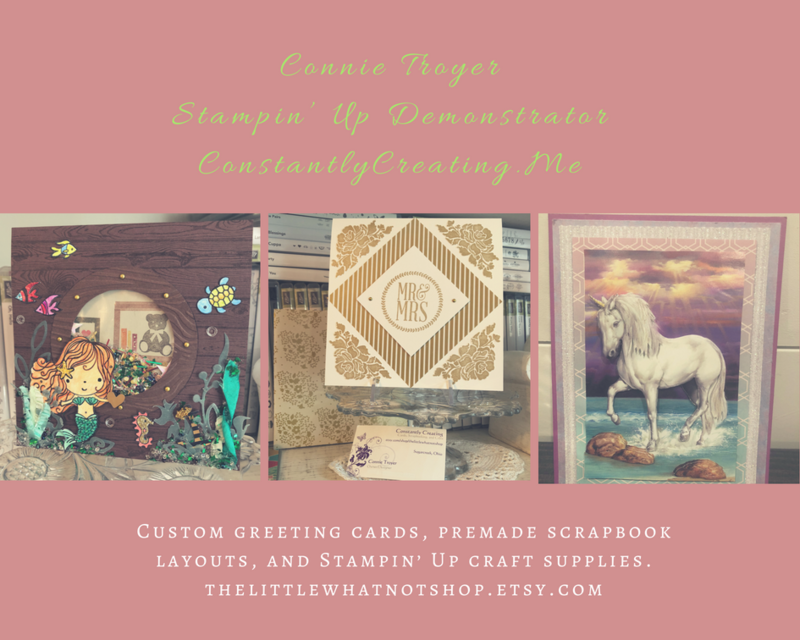 I cut the images out with the coordinating Cafe Builder Framelits Dies and adhered the frame to the Crumb Cake card stock panel with Multipurpose Liquid Glue and the table image to the card base with Glue Dots. I cut a panel Sweet Soiree Specialty DSP with the edge of the larger Cafe Builder Framelits Die and adhered it to the Crumb Cake card stock panel with SNAIL. I stamped the sentiment from the Charming Cafe stamp set in Calypso Coral ink on a panel of White Vellum and I let it dry completely. I adhered the vellum panel to the card front with a Glue Dot (hidden under the flower) and then added one of the Touches of Nature Elements with another Glue Dot to the sentiment strip. I added three Rhinestone Basic Jewels to finish the card front. I stamped the table image from the Charming Cafe stamp set in Soft Sky ink on a Whisper White card stock panel inside the card. This entry was posted in For a Friend, For You and tagged CAS card, Charming Cafe, for a friend card, just for you card. Bookmark the permalink. This bundle is on my January Wish List. I think your card is beautiful Amy.